Just like with humans, dogs and cats moult old, dead or damaged hair which is then replaced with new and healthy hair. Moulting helps prevent the fur from clumping or matting together, which can then lead to further health complications later on. However, not all moulting is normal and can be the symptom of an illness or parasite, so its important to pay attention to when your pet is and isn’t moulting. 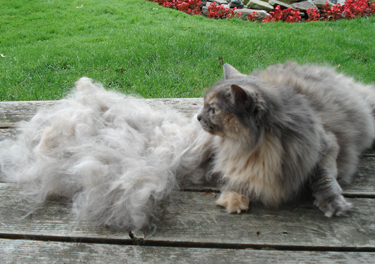 How Often Should Pets Moult? Due to central heating, amongst other things, domestic indoor cats and dogs moult year-round unlike their wild or outdoor counterparts which moult more prominently in the spring and in the autumn. While you’d expect summer to be the worst for moulting it can be the winter now due to central heating. Pregnancy and lactating can cause excess moulting too due to the increase depletion of minerals after giving birth/during the nursing period. Different breeds of cats and dogs can also cause the difference in how much/often they moult compared to a dog/cat of a different breed. 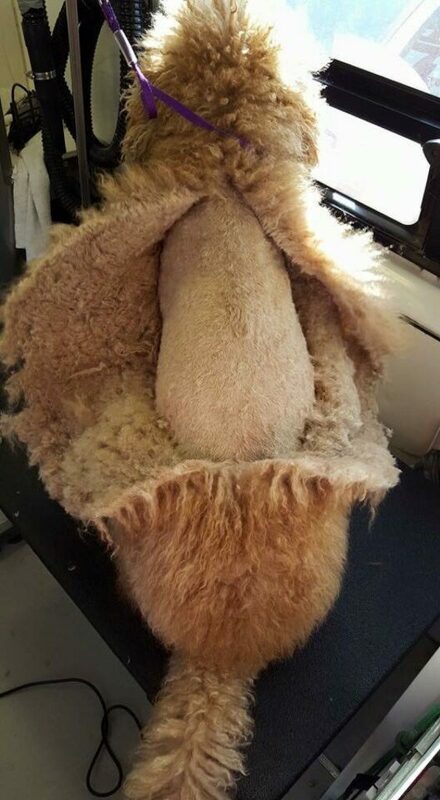 For example, pets that moult the least, such as poodles, tend to be the ones that have to go to the groomers to get their fur cut to try and prevent matting and clumping of fur. Other breeds can be seen to moult at a higher rate due to the length of their fur giving off that illusion when in fact they’re not. Knowing the breed of the animal can help determine their moulting patterns as well as how much is normal for them to shed. How much is ‘Too Much’ Moulting? Moulting should still leave their skin looking healthy and undisturbed and shouldn’t leave their fur patchy. Bald patches in the fur can be a symptom of an illness or parasite, especially if the skin looks irritates, sore, has rashes or bites or dry hair that pulls out easily. Excess moulting can also be caused by a range of factors, including stress, hormone imbalances, dirty/irritated skin, allergies, poor nutrition, bacterial skin infections, fleas and parasites, amongst other reasons. If you think your pet has started excessively malting you should visit your vet to check if it’s natural or not and they can properly advice you what to do next to help to prevent it getting any worse. The Best Way to Control Moulting? 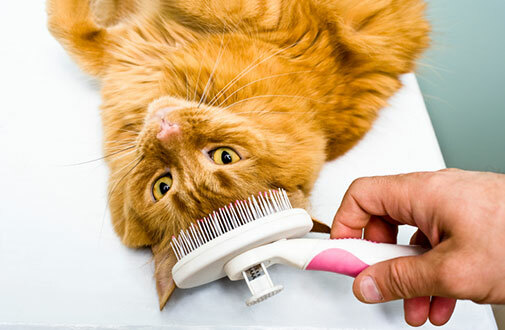 Regular grooming either at home or at the groomers can help control moulting and minimise the risk of others things such as hairballs. Brushing your pet with a good quality brush such as shed master will help minimise shredding and keep the fur clean and healthy.